The cleaning of the rooms and their private bathrooms are made every morning, from 10:00am onwards, with accuracy and using antibacterial products. 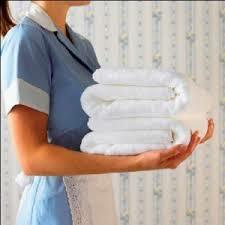 For long stays, linen change is done every three days. At the hosts’ departure, the cleaning of the rooms is much more accurate.